I've had the US-Edition of the HTC Touch Dual (see our video first look here) for a couple weeks now and my verdict: it's a quality WMPro device but nothing to get atwitter over. If you're in the market for an unlocked, GSM, Windows Mobile device, the Touch Dual may belong on your short list -- that is, if you don't want to wait for the updates TouchFLO 3D devices coming down the pike. Should you head to Best Buy and pick up one of these devices? Read on for the full review! The HTC Touch Dual might the last of the original “Touch” series, and I consider that a bit of a bummer. The basic shape is a 'flat egg“ and it therefore fits very nicely in the hand. The added thickness over the standard Touch series is noticeable, of course, but it's still thinner than a Treo 750 or an AT&T Tilt by a long shot. I also like the paint finish -- matte black with the now-common but still-appreciated ”soft touch“ feel. I like this finish because it does an excellent job not picking up fingerprints. There is a ring of chrome around the sides that looks fairly professional as well and nicely integrates the side buttons (volume, power, and camera). The microSD card slot is on the lower left underneath a rubber flap that seems to be less likely to come undone and flop around than on many devices I've used -- I actually have to use the stylus to pry it open and I appreciate that. The stylus, by the way, is awkwardly placed on the lower-right and is of the telescoping variety. The sliding action for the slide-down keyboard is satisfying quick and, er, ”authoritative“ because of the spring action. There's even a very small ridge underneath the screen for you to push or pull on with your thumb. 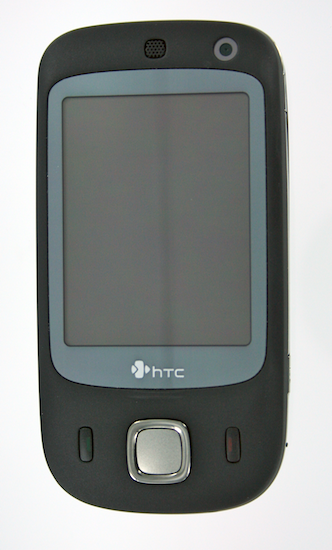 Lastly, there only one port - the standard HTC miniUSB / Audio port. It's hidden under a large rubber flap too -- it's a little too large for my taste and all-in-all I'd have preferred an exposed port. Personal preference, I suppose. Processor: Qualcomm MSM7201, 400MHz: at 400MHz the Touch Dual isn't necessarily a speed demon, but I've found it fast enough. 400MHz is pretty much the basement for acceptable speeds for me these days, but the Dual seems to be fairly well optimized for it. Windows Mobile 6.1 Pro: I'm a fan of WM6.1 Pro, but it's nothing earth-shaking, as you can see in my full review of the OS. 107mm x 55mm x 17.05mm, 120g: As I mentioned above, the Dual feels great in the hand -- there's just a little more heft than the standard Touch, but compared to other WM Pro devices out there, the Dual is definitely pocketable. Quad-Band Edge, Dual-Band HSDPA (850 and 1900); Bluetooth: The lack of GPS and WiFi on this device does knock it down quite a bit in my book -- these features really need to be standard fare in the Summer of 2008. 2 Megapixel Camera Main, small front-facing camera: the inclusion of the front-facing camera on the US version of the Dual is curious. HTC had to re-engineer much of the phone in order to make the US radio work on it, so it's almost strange that they'd include the extra camera here. AT&T and T-Mobile (and pretty much any GSM carrier you could name here) aren't likely to support 2-way video conferencing anytime soon. 1350 mAh battery, just over 5 hours of talk time (on HSDPA): Battery is good. The thing isn't epic, but it's better than most 3G WM Pro devices I've used. 256mb ROM, 128 RAM; microSD for expansion: This is pretty much the standard these days, nothing bad (or great) to say here -- it's enough. The Touch Dual has a 320x240 Touchscreen that's pretty much average. Like with the original touch, I find that I need to press a little more firmly than I'd like, though it's likely that I just feel that way after having used the iPhone as well as more modern devices. It's fairly bright (but isn't great in bright sunlight) and I do appreciate that it flush with the front of the device. Actually, the existence (or better: upcoming existence) of higher-resultion devices puts a damper on my enthusiasm for the Dual overall. More on this in a bit. 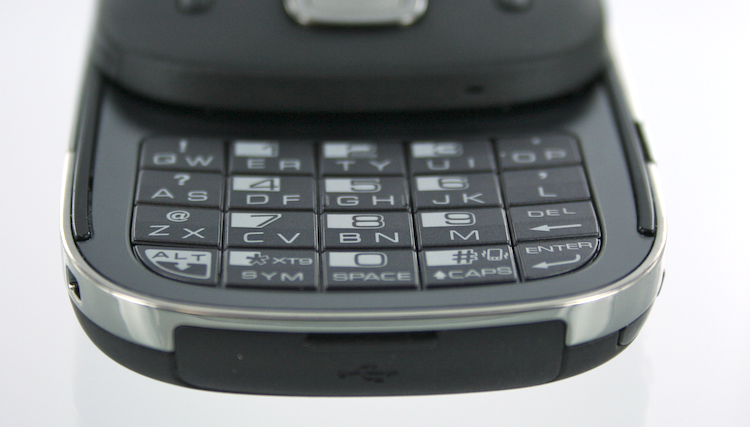 Unlike the European version of the Touch Dual (which comes in both 12 and 20 key varieties), the US version only comes with a 20-key 'suretype-esque' keyboard. That's fine, as I prefer it. The buttons on the keyboard have a very good feel -- the click is solid. 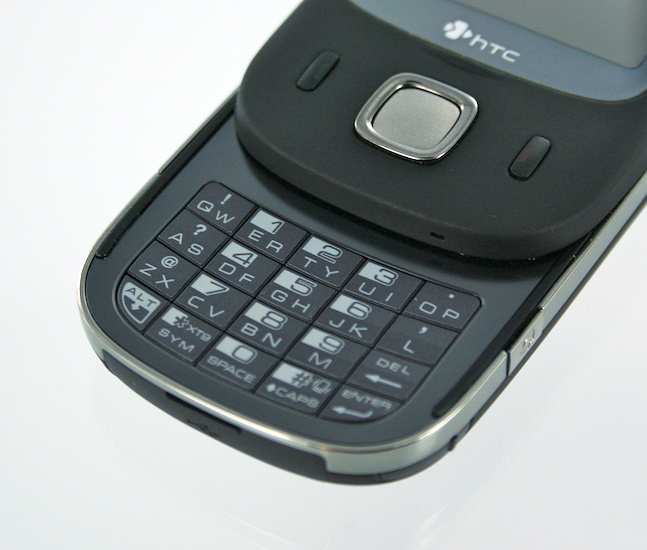 The keyboard overall is very flat but HTC has put a horizontal ridge on each button to make them easier to find. HTC's text-prediction technology is pretty good, though I'll admit unless you use the keyboard for long enough to store up some names and other custom words in the dictionary, it's very tempting to just stick with the multiple-press for letters method. I prefer a full-QWERTY, of course, but this keyboard does the job. However, given the extra hassles of the 20 key over a QWERTY, it does seem like you may as well use an on-screen keyboard anyway. 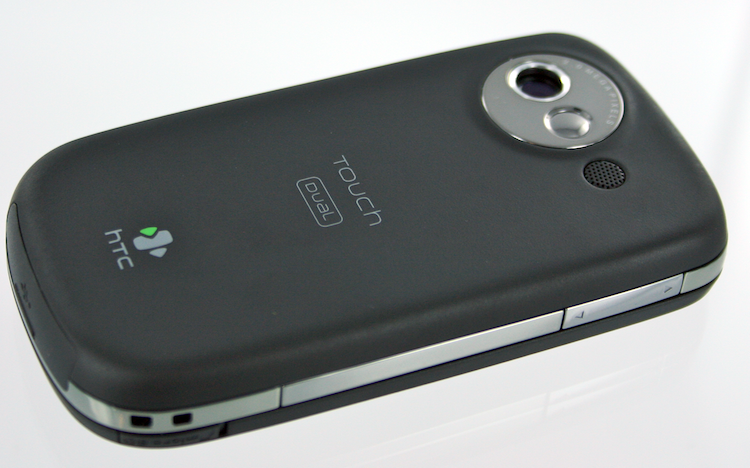 The Dual features TouchFLO 2, naturally. We're all familiar with the software at this point, so there's no need to dwell on it. The Touch Cube is three-sided and non-customizable, but since it's an unlocked device, there's no hassle with the standard items on it being replaced with crappy, carrier-specific shortcuts. Overall, the cube is very responsive and I'm a fan. The photo software also features the neat ability to zoom in by drawing a circle on the screen. Overall it works fairly well, but I find that I'm often accidentally rotating the image instead of zooming. 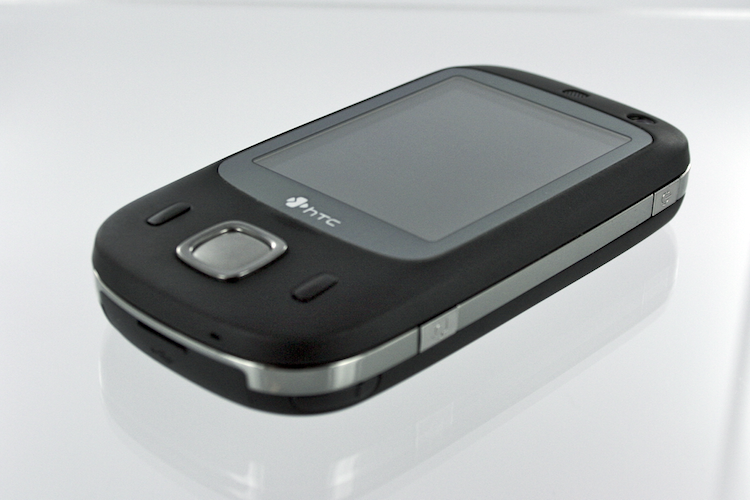 So overall the HTC Touch Dual is a great Windows Mobile device -- for the moment. There's nothing shockingly great about it, which at this point is actually sort of a problem. Six or eight months ago I would have been much more enthusiastic about the Dual. Now, however, it's rather difficult to recommend people drop down the suggested $549.99 at Best Buy for it. Sure, you're getting a device that's not tied to any specific carrier, one that's 3G and can perform as well or better than most Windows Mobile Pro devices out there, one that was first to market with Windows Mobile 6.1 Pro to boot. However, with the Xperia X1, the Touch Diamond, and the Touch Pro/Raphael coming to the US later this year (perhaps within the next 3 to 4 months), the Dual doesn't seem to stack up very well. For what will probably be just one or two hundred more (or, alternately, less if they're available with a subsidy from a carrier), you will be able to get a device with a higher resolution screen, WiFi, and better enhancements to Windows Mobile. I know it's less than fair to compare a currently-available device to stuff that hasn't actually been released yet, so strictly speaking I have to say that the Dual is very good on its own merits -- it's a 4 star device today. 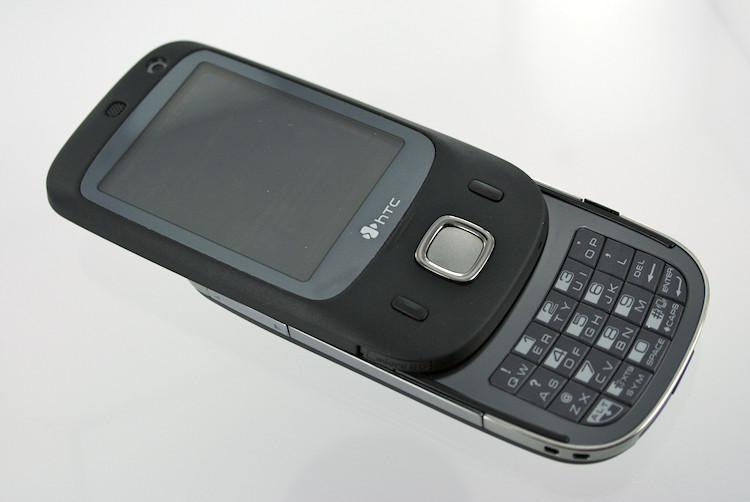 Compared to the Treo 750, it's clearly the superior device, and I even prefer it to the AT&T Tilt, the T-Mobile Shadow, and the BlackJack II. Still, though, there it is: with much better Windows Mobile devices only months away, I'd recommend most people hold out for the better stuff.